The Duke Returns to Hawaii’s North Shore! Fifty Three Years ago in 1965, Honolulu promoter Kimo McVay came up with the idea to run a surf contest in the name of Duke Kahanamoku and to invite by poll the twenty-four best surfers in the world capable of surfing the North Shore. 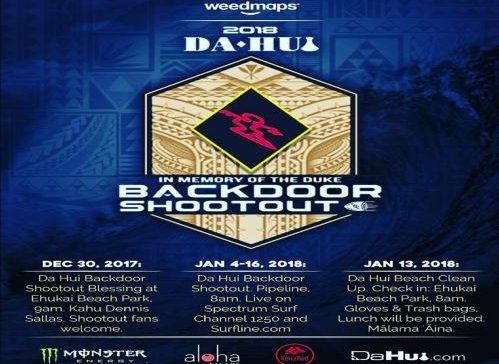 The Da Hui Backdoor Shootout presented by WEEDMAPS will retain the memory of Duke Kahanamoku on the North Shore. The event, Da Hui Backdoor Shootout in Memory of Duke Kahanamoku will be based on eight (8) – four(4) man teams to be held at Pipeline. 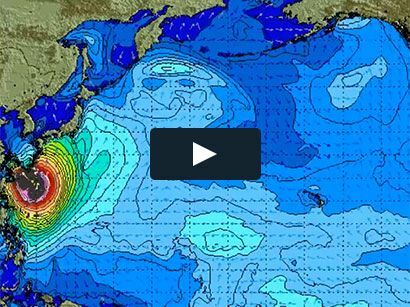 Teams to be fielded are Da Hui Wax, Hui O He’e Nalu, Quiksilver, Volcom, Weedmaps and for the first time – we have a team from Japan! Team Da Hui Japan – one of their members is Takayuki Wakita who was an invitee in the Eddie Aikau Big Wave Invitational in 2015/2016. The waiting period is January 4-16, 2018, with competition running for four (4) days within this waiting period. Start time: 8am. The event will use a unique round-robin format where all competitors will surf multiple times culminating in a four (4) man final. 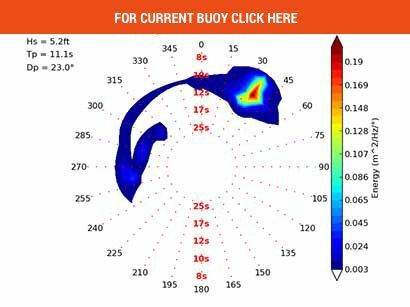 And in addition to the traditional team surfing, in remembrance of the Duke, Da Hui Backdoor Shootout will once again have Longboard, SUP and Bodysurfing Divisions!